Do you know about the “Iga City Flood Hazard Map”? 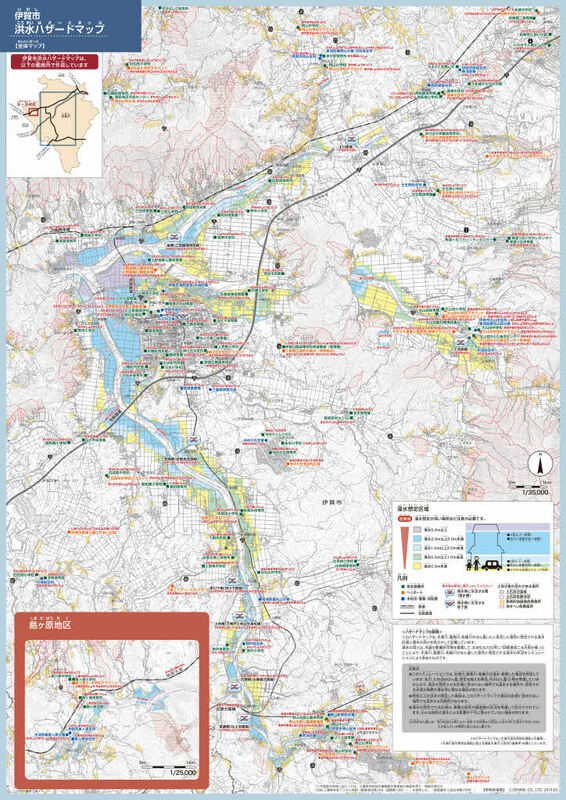 This map shows the range and the depth of floods that are predicted, assuming that the Kizu River, Hattori River, Tsuge river overflow. It shows floods on a color-coded basis. In addition, information on evacuation center locations and sediment-related disaster warning areas, etc. is on it. The “Iga City Flood Hazard Map” is distributed by the Iga City Hall, Comprehensive Crisis Management Division (Sogo Kiki Kanri Ka section). It is in friendly Japanese, Portuguese, Spanish and Chinese. Please check that your house is not located in a dangerous place. 1) Check the location of your house and find flood area at the time of flooding. 2) Check for some shelters near your house and an evacuation route. ✅ Where is the nearest shelter to your house? ✅ Find several different routes from your house to the shelter. ✅ Find how far the distance is and how long it will take to get to the shelter. ✅ Investigate the flooding possibility on the route to the shelter. 3) Take an actually walk on the evacuation route with your family to check its safety. ✅ Are there any dangerous spots on the way to the shelter, like ditches without covers, manholes, reservoirs, rivers and waterways, steep slopes and cliffs, roads without street lights, underpasses and so on? ✅ Is there any marker at a high position such as a signal or a signboard that can be checked even if there is flooding on your evacuation route.